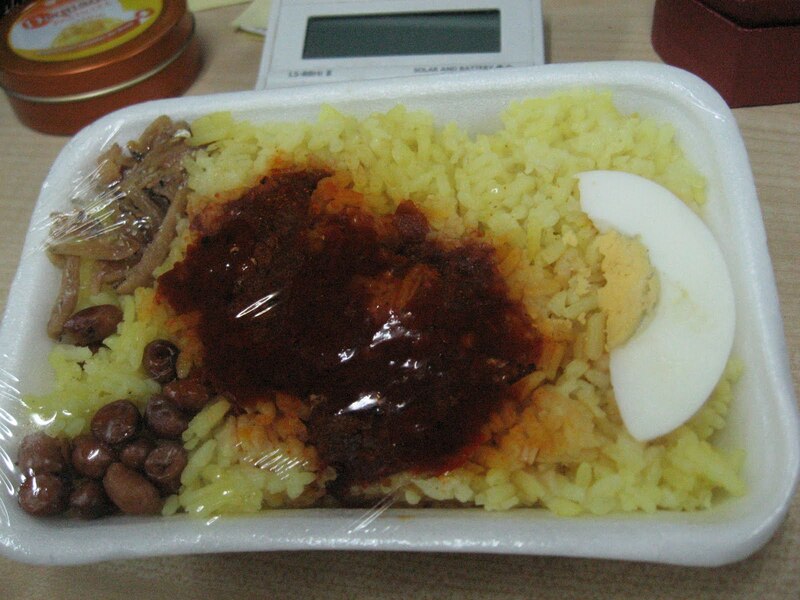 Agnes' Diary & More...: Nasi Lemak Make you Fat? Do you really think eating Nasi Lemak will make you fat? Is it because of its high coconut oil/ santan content? I once read some articles of coconut oil, I came to know that it has many health benefits than other oil. Here is one of the Health Benefit of Coconut Oil you can read on. I really want to know if there are some other reasons why Nasi Lemak is said to make us Malaysian fat or obese. I would support the idea of controlling the sales of those processed food, like nuggets, fried fries, fried mashed potatoes cakes, oily noodles, and sausages in the school canteen. Whenever my girls ask for sausages in their meals, I would stare at them with my sharpest eyes, always remind them that this is "lousy food", can only be eaten occasionally. I am not a big fan of Nasi Lemak, but reckon that the sale of this famous, delicious and affordable Malaysian delicatessen should not be controlled until a true nutritional facts of it has been thoroughly studied. The problem of obesit among children is not so much about food,, it is to me the children are not active anymore,, they eat, they play computer, they FB and they just become sedentary, that's all. I'm not a big fan of nasi lemak too, but once a while is ok la I think. It's our Malaysian 'signature' food! haha! Noooo... don't ban nasi lemak. I'm a huge fan!! It's not about nasi lemak, in my opinion... it's the diet and lifestyle which contribute to obesity issue. Malaysia food always have to be full of fats! else will be dull food. I agree in banning those unhealthy food in school canteens. I just worry that this may not be enforced properly and strictly. I am a big fan of nasi lemak, espcially the sambal chilli, the ikan bilis, the egg, etc etc.